These patterns come from our vintage pattern library. 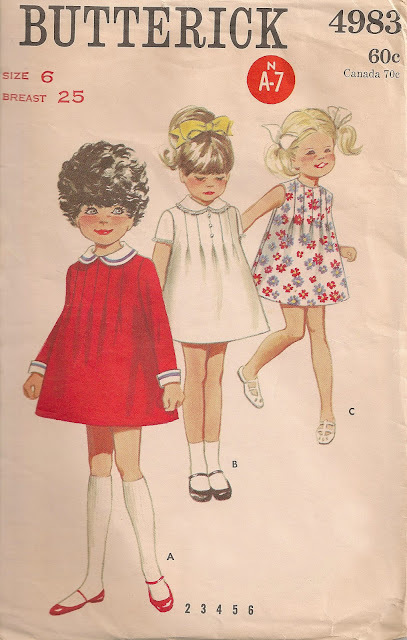 Most of these are from the 1960's and 70's although one looks older, maybe from the 40's. 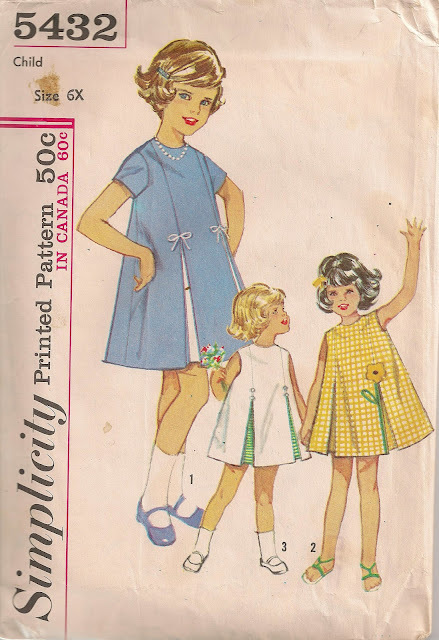 The feature that ties them together is the wonderful use of pleats. This Simplicity pattern was used to make the dress below using Girl Scout and s'more fabric. 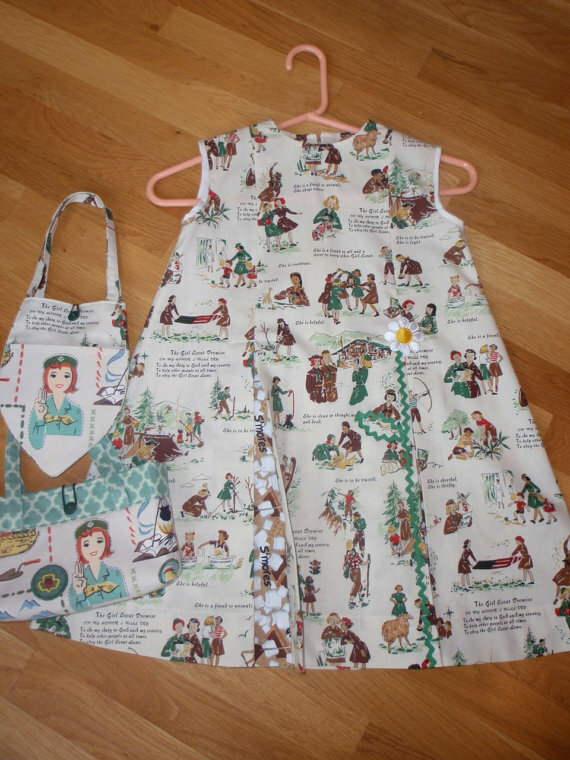 The bags were made with a combination on contemporary and vintage Girl Scout fabric. 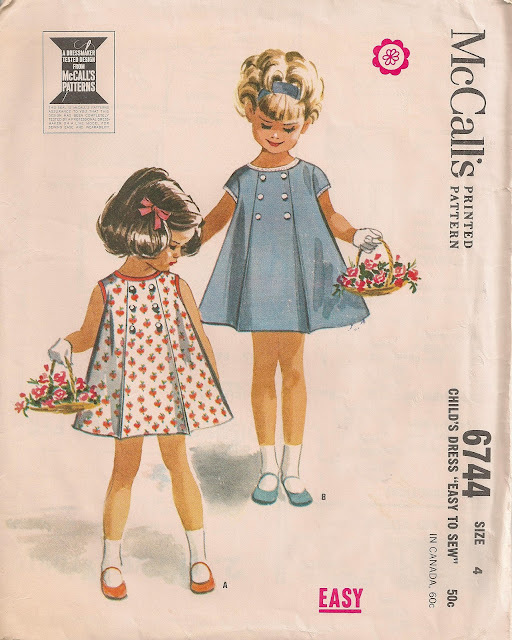 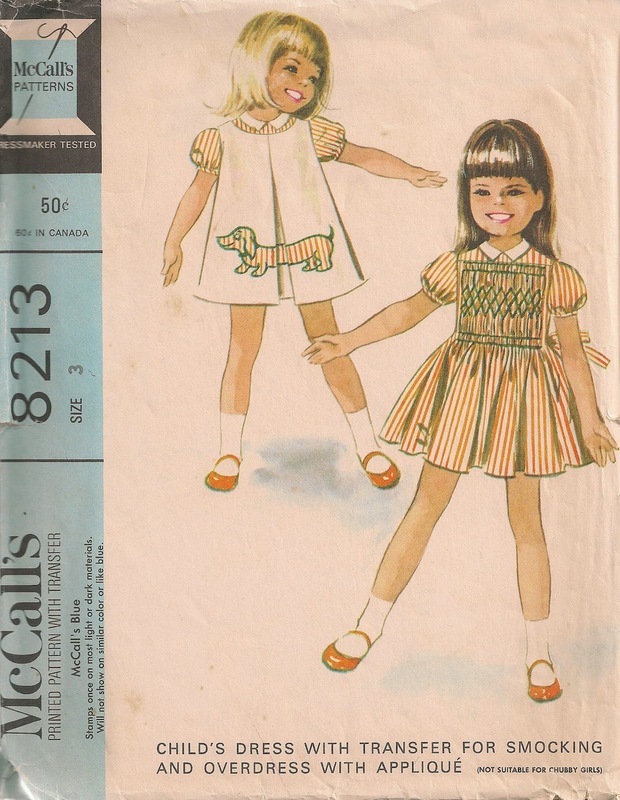 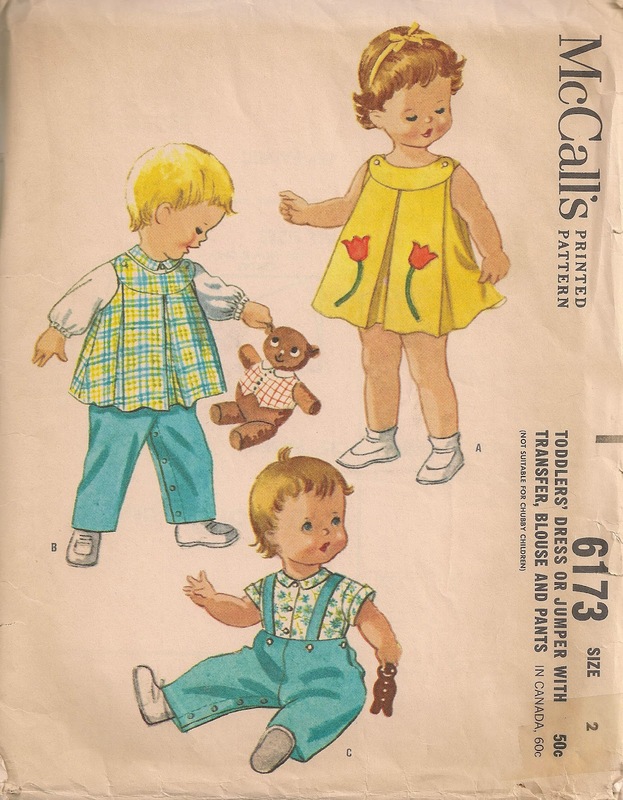 I love all the vintage sewing patterns you have posted on this page. I think I have several from about this same time frame (and I actually do use them). They are just too cute for little girls!